For an affordable and convenient dumpster rental in Minnesota, look to Dumpster Rental INC. We pride ourselves on our inclusive rates, knowledgeable customer support team that will assist you in finding the right roll off dumpster for your project, and making our customers order process as easy as 1 2 3. 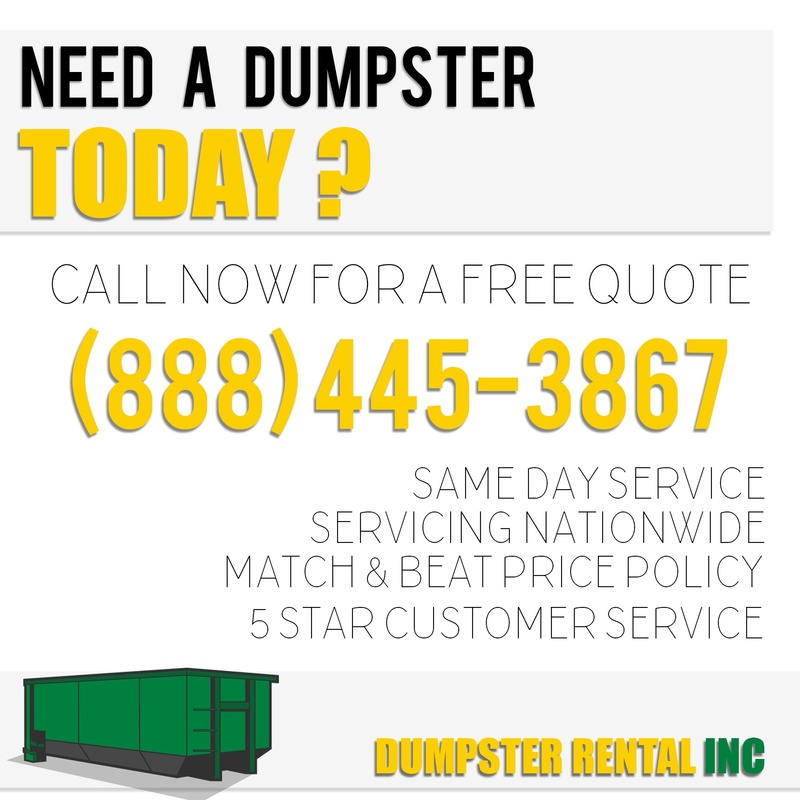 For helpful customer service, and low-cost dumpster rentals, call 888-445-38675 today! When it’s time to start clearing out some space in your home, a roll off dumpster rental is the solution you need to get rid of all the junk. With a wide variety of dumpster rentals to choose from, Dumpster Rental INC will provide the perfect size roll off container that meets the needs of your project. Whether you are cleaning out the garage or clearing out old boxes from the attic, our Minnesota dumpster rental service will provide the right dumpster for the job. No matter how large or unmanageable your junk removal problem is, we can easily accommodate your needs while keeping your cleanup under budget. If you’re ready to start cleaning give us at Dumpster Rental INC a call at 888-445-3867! Rent a dumpster for household clean outs, debris removal and more. We offer a variety of sizes: 10, 20, 30, and 40 yard dumpster rentals available. We deliver to virtually any location – nationwide including residences, businesses and construction sites. Our flat rate pricing keeps your costs low and predictable.